Tom Toliver has seen people with children who are hungry, searching for food in dumpsters in the alleys of Charleston. And he isn’t the only one. At the Union Mission where Toliver has been donating fresh vegetables, the president and CEO Rex Whiteman says hunger is on the rise throughout the state, and in Appalachia. “Yes, we see people that are hungry, people that have not eaten for several days, and will come in our doors saying, ‘can you help me?’. And that is overwhelming, in a society and in a world of abundance, that we have people that are literally starving to death. With the mines closing down, and many of them closing in recent months, that’s just created a new wave of hunger and new people that are in the pipeline, asking for help,” Whiteman said. And these new people mean that new food is needed all the time. Healthy food, like the type of produce Toliver has been growing in his garden. And this week, staff at the YMCA were inspired by Toliver’s vision and brought 22 kids from summer camp to help him harvest vegetables and deliver them to the Union Mission. Before the YMCA youths arrived to help, one of Toliver’s gardens was about to become overwhelmed by harlequin stink bugs. 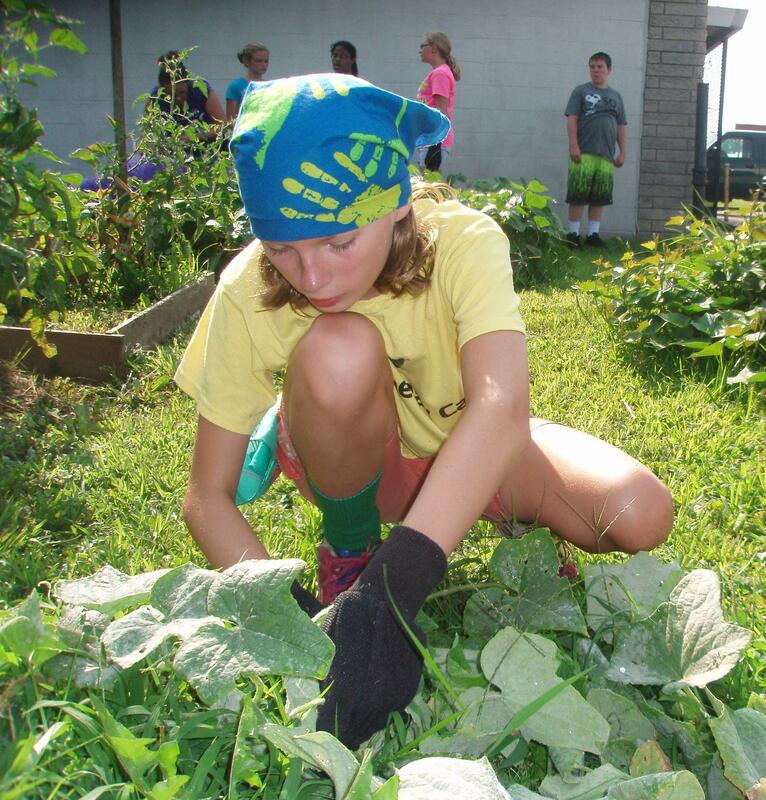 “We’re drowning the bugs, and we’re harvesting all the beans and the plants that are ready to be harvested,” said 11-year-old Hannah McCune. She was dressed in a brightly painted hanker-chief, green socks, and pink tennis shoes. She was also wearing garden gloves for what is sometimes a dirty job—finding and killing stink bugs. It’s not a pretty job, but it’s a necessary one because the volunteer gardeners are committed to using no pesticides on the food they grow. It takes a lot of time to pick out the orange and black bugs by hand. Hysmith is one of the volunteers most involved with Toliver’s gardens this year. On Tuesday, she taught the children from the YMCA summer camp about the various plants that grow throughout the garden. “Well in the wintertime the plants go dormant. These are called annuals because they bloom once and then they die. You can save the seed from the fruit, and grow the same plant next year,” Hysmith explained. Excitement erupted nearby when a blue tailed skink emerged from one of the raised beds and dove back beneath the beans. In one morning, they harvest about 25 pounds of chard, collards, cucumbers, green beans and zucchini, which they deliver to the Union Mission the next day. There, they learned about the somber realities of hunger in West Virginia. And Tom Toliver was visibly moved from the response he’s received in the last week. His project has gotten a number of calls from people, wanting to support his community gardens. “My big thought, my big vision, is to rub out hunger, totally, through community gardening. And that’s my strategy—is to start in Charleston, Kanawha County, West Virginia, America—encouraging people to live off the land. And you have seen yourself how easy it’s been to grow food,” Toliver said. The vegetables that the YMCA kids harvested will be served or given away to families in need who come to Union Mission hungry. Some of these people will not have eaten for days. 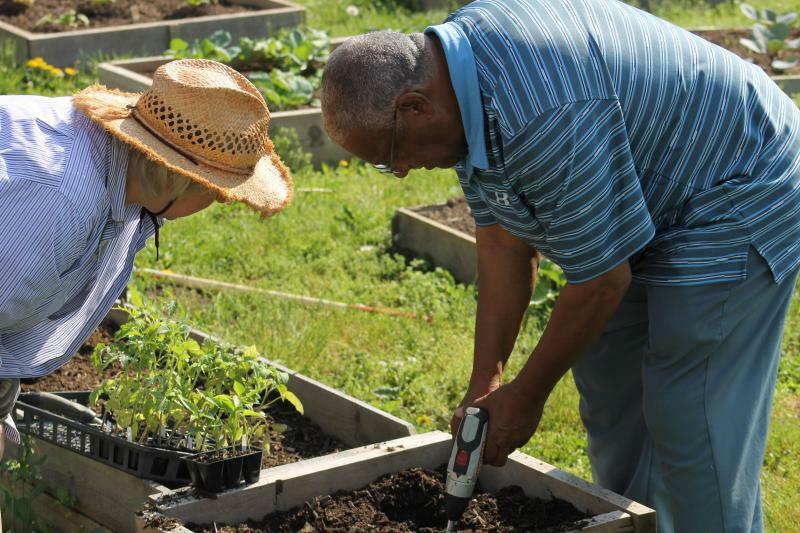 The first part of this story about Tom Toliver's West Side Gardens can be found here. Jaime Rinehart, of the WVSU EDC. The first of Tom Toliver’s gardens is in what looks like an unlikely place—there’s a lumber mill across the street, a busy road without sidewalks, and the garden itself is nudged in between a pawn shop and a DeWalt tool center. Along 6th street, a mom and her two kids walk by carrying groceries from the nearby Family Dollar. Toliver also lives down the street. He believes that putting gardens in urban areas, like Charleston’s West Side, helps reduce crime and revitalize the neighborhood. 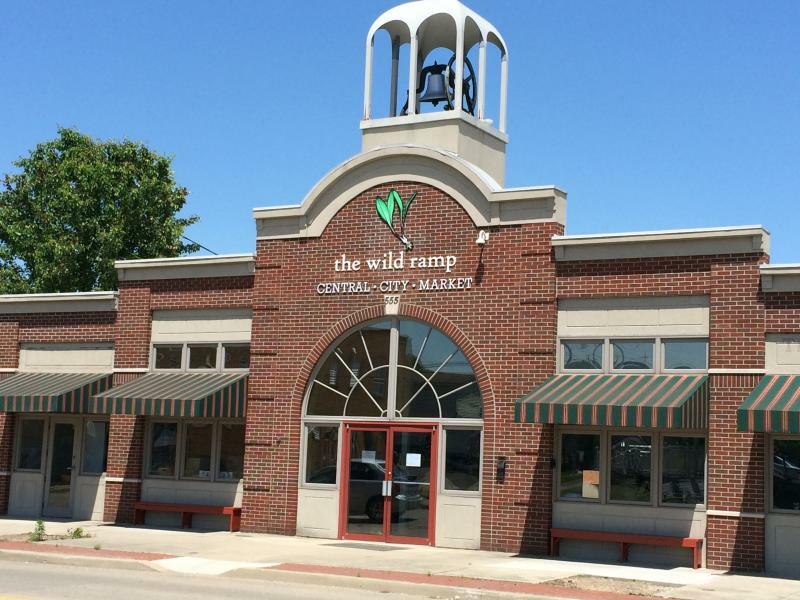 The Wild Ramp Food Market will hold a grand opening ceremony Saturday at 9 a.m. as they celebrate a move to a new larger location. Since opening its doors in July 2012 at Heritage Station in Huntington, the shop that only sells locally grown foods has flourished. With over 100 local farmers, artisans, and bakers producing goods for the market, they have run out of space. So when the city approached the market about moving to a larger location in Central City, Wild Ramp Officials jumped at the chance. Shelly Keeney is the market manager. 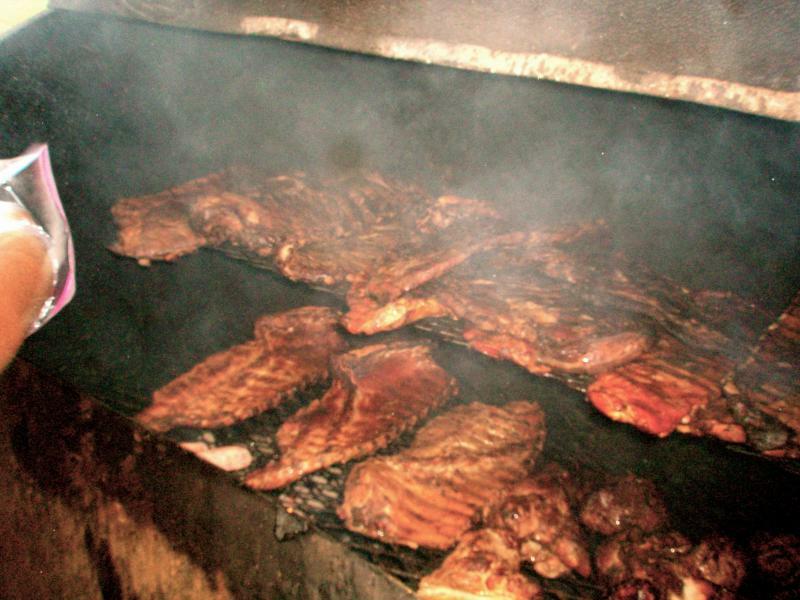 On a drizzling morning around 7:00, Sam Rivers has just lit the oak-wood fire for the meat smoker, and smoke is pouring over the sidewalk into the rain. The owner of Dem 2 Brothers and a Grill, Adrian Wright, stands behind him. Adrian oversees the entire operation, from the time when the ribs and pork begin grilling in the early dawn, until the spicy barbecue sauce is made each night.